While working at Stuff in 2106, we released a new Stuff logo across our mobile web and desktop sites, apps, and social platforms. A few months later we also launched Stuff-Fibre an internet supplier that will compete with Spark, Vodafone and dozens of smaller providers. The Stuff logo celebrates our past and our future. It highlights the role we play in many consumers’ lives, and the increasing breadth and full spectrum of innovative content we are delivering to over our 2+ million consumers. The changes were simple and subtle. 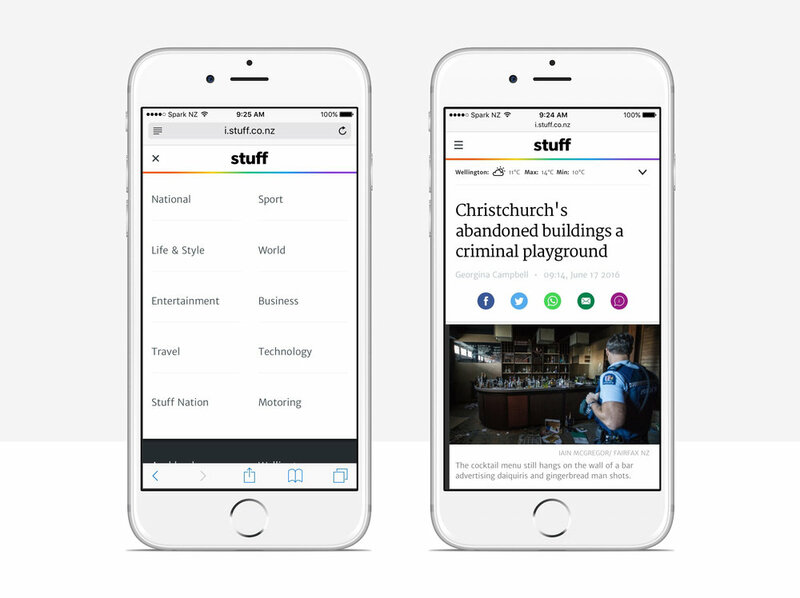 Stuff's colour bar has evolved to a gradient and we dropped '.co.nz' to reflect that our digital products aren't limited to the web. If you're an app user, you'll see a new icon on your home-screen and on desktop and mobile web, the revamped logo anchors the top of the page, and if you follow us on Facebook you'll also notice the new style in your feed. 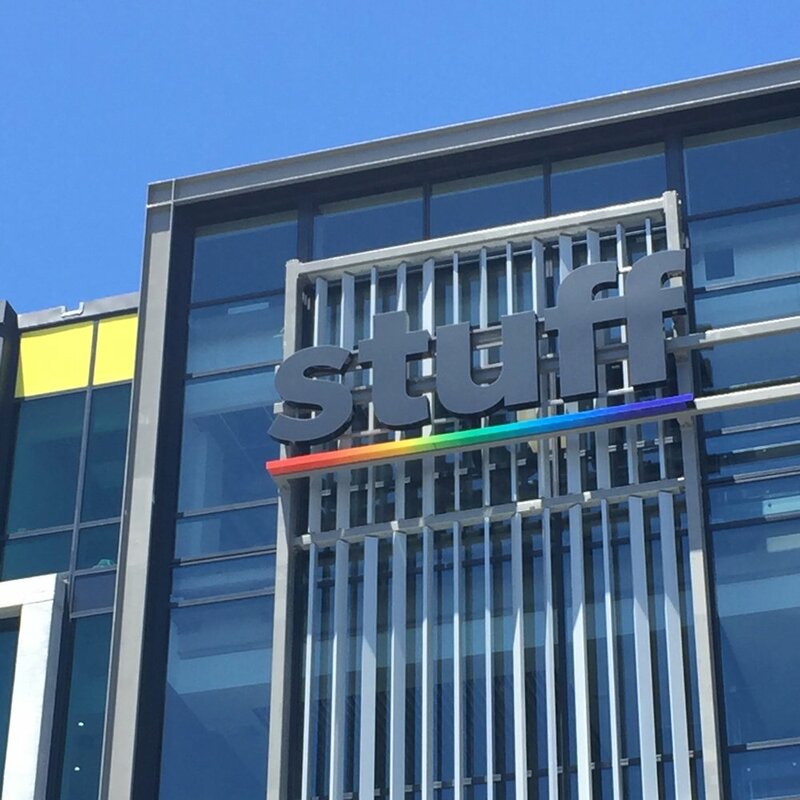 The Stuff Fibre logo has been developed from the idea that we believe Kiwis deserve a better, simpler internet experience. Stuff Fibre delivers lightning fast speeds, unlimited data, no fixed-term contracts, local customer service who put you first and a gigabit router for better performance. 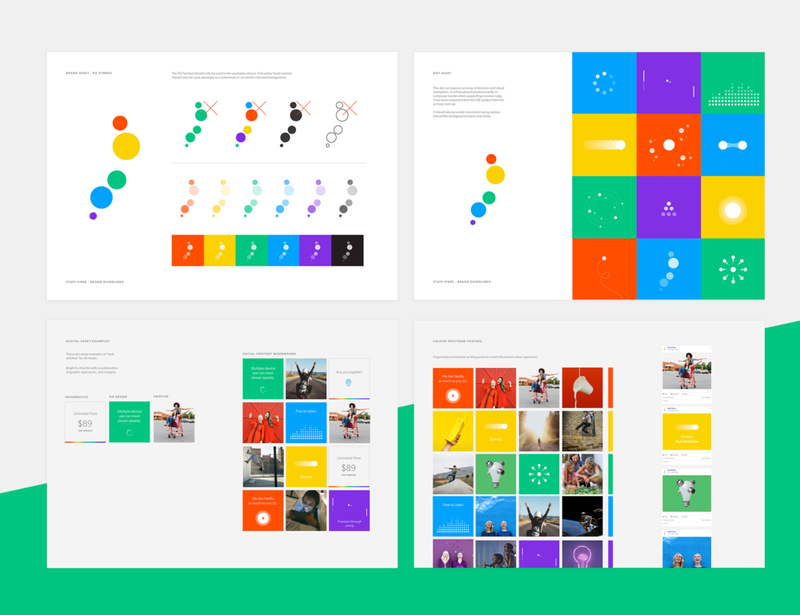 Thats why the branding for this start-up reflects that of the redesigned stuff logo while also having own elements to make it unique.